Plenty of on-board storage for photos, videos, documents and more. Add a microSD card to increase memory up to 256GB. 5MP front camera and 13MP autofocus rear camera. Connects the Galaxy Book and your Samsung Galaxy smartphone with a touch. Share files wirelessly, even without Wi-Fi. Plus, receive and respond to notifications from third party and native apps. 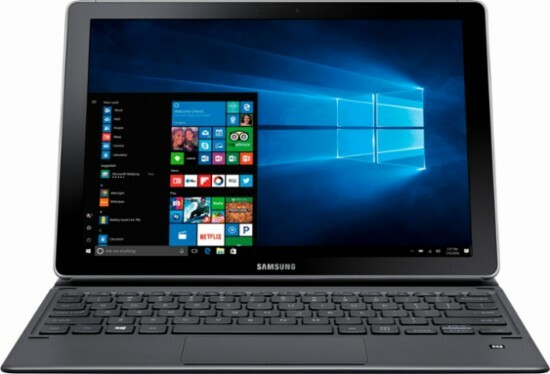 Click the button below to add the Samsung - Galaxy Book - 12" - 256GB - With keyboard - Silver to your wish list.